Japan’s all-female Jewels promotion will cease operations in August and the organisation’s top stars will move on to compete under the DEEP banner. DEEP boss and Jewels advisor Shigeru Saeki confirmed the news after tonight’s Jewels: “24th Ring” event at Shinjuku FACE in Tokyo. Jewels officials struggled to book fights for the promotion’s two cards this year due to a lack of available talent as athletes took bouts for Invicta FC and Pancrase. The promotion, which rose from the ashes of Smackgirl in November 2008 and staged 26 events, now becomes a division of DEEP. 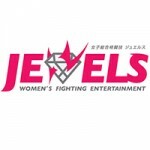 During its 54-month history, Jewels provided a platform for many of Japan’s top female mixed martial artists to compete. The promotion crowned its first champion, lightweight (114-pound) queen Ayaka Hamasaki, in December 2010. One year later, Naho “Sugi Rock” Sugiyama captured the inaugural featherweight (106-pound) title. Both fighters later went on to test themselves against American opponents in the newly-formed Invicta Fighting Championships promotion. In recent months, Jewels title contenders Emi “Kamikaze Angel” Fujino and Kikuyo Ishikawa have taken fights for Pancrase. Top Jewels prospect Mizuki Inoue is set to make her North American debut at Invicta FC 6 in July. The decreased talent pool left Jewels matchmakers with the difficult task of maintaining high quality fight cards this year. Tonight’s “24th Ring” event featured only four MMA bouts. DEEP, which is one of the premier MMA promotions in Japan, crowned its first female champion on August 4, 2006 when veteran striker Hisae Watanabe knocked out the previously unbeaten “Princess” Satoko Shinashi in a rematch for the DEEP Women’s Lightweight Championship at 106 pounds. To this day, the bout remains one of the biggest female fights in Japanese mixed martial arts history. Shinashi became DEEP’s second female champion when she won the inaugural DEEP Women’s Flyweight Championship at 100 pounds on February 22, 2008. Watanabe lost her title to future pound-for-pound superstar Miku “Supernova” Matsumoto in her first championship defence and retired from MMA after competing one more time. Shinashi soon joined Watanabe by retiring herself, and Matsumoto abruptly left the sport at the height of her career in 2010. With its champions gone and no marquee matchups left, DEEP phased out its women’s divisions. Save for occasional one-off bouts, such as a February 2011 rematch between Seo Hee Ham and Saori “Shooting Star” Ishioka, DEEP has been a male-only promotion for the past three years. Tonight’s announcement changes the landscape for female fighters in the Land of the Rising Sun. No longer will Jewels occupy small venues such as Shin-Kiba 1st Ring. Women will have an opportunity to compete alongside their male counterparts on larger DEEP cards, which often take place at the famed Korakuen Hall or within mid-sized venues like Shinjuku FACE and Differ Ariake, but they may have to fight their way there by first progressing through events under the newly-minted “DEEP Jewels” banner. Initially, DEEP plans to add the 48-kilogram (106-pound) and 52-kilogram (114-pound) women’s weight classes back to its roster. The promotion does presently have one active female division, open-weight, where Amanda “Powerhouse” Lucas (5-1-0) reigns supreme as the first DEEP Women’s Open-Weight Champion. She has yet to lose in four appearances for DEEP dating back to August 2011. “Jewels is being put on hold for now, and on August 31st we will be starting ‘DEEP Jewels,'” Saeki said after the event. “The UFC has opened a women’s division, but only for a heavier weight class, so we don’t know what it will look like in three years. We’ll invite Invicta FC talent over to Japan in the near future and we will have contracted fighters who have a DEEP/Jewels joint contract. Saeki will lead the new female “DEEP Jewels” faction. Jewels president Yuichi Ozono will be stepping down from his duties in order to focus on other career ventures outside of MMA. I’m sad to see Jewels gone as stand-alone brand, but it is understandable given the recent developments. I hope that under the Deep brand female MMA in Japan flourish and have more exposure. Perhaps with this exposure someday the Jewels brand could return by itself or perhaps even the Smackgirl brand. I also hope that this helps improve the talent pool of Japanese female fighters so that more can compete at Invicta FC. At the very least, I hope Deep allows GnP rules in female bouts regularly instead of having that only for special fights, since that is something that Japanese female fighters truly lack when competing abroad.